Contemporary mesh executive chair with lumbar curved aerated backrest. 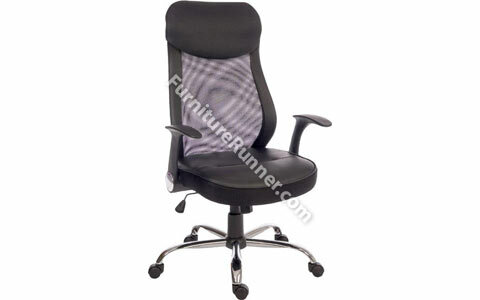 Features removable headrest and reclining function with tilt tension control. Gas lift seat height adjustment. Includes durable retractable armrests and stylish steel base.